Donald N. Serafano MD was born and raised in Detroit, Michigan. 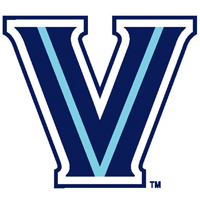 He was awarded a four year academic scholarship to Villanova University in Philadelphia, Pennsylvania and graduated with a Bachelor of Science degree in Biology and Chemistry. He was awarded a second academic scholarship this time to Wayne State University School of Medicine in Detroit, Michigan. After completing his studies and an internship in Internal Medicine and the Mayo Clinic in Rochester, Minnesota, Dr. Serafano served as a Captain and General Medical Officer in the United States Air Force. He received an honorable discharge before going on to complete his fellowship residency in the Department of Ophthalmology at the Mayo Clinic in Rochester, Minnesota. Dr. Serafano moved to Long Beach, California for additional training in corneal surgery and intraocular lens implants. He has been practicing general ophthalmology with a special interest in cataracts, lens implants, and refractive surgery since 1978. He is on the advisory board for the development of phacoemulsification (a method of small incision cataract removal) and foldable lens implants. Dr. Serafano has given many scientific presentations and performed live surgery at symposiums all over the world. He is currently an Associate Clinical Professor at the University of Southern California. Dr. Serafano’s numerous awards include being listed as an Honored Professional in both the American Directory of Who’s Who in Executives and Business and the National Register’s Who’s Who in Executive and Professional s. Dr. Serafano has also been selected by his peers to be included in Best Doctors in America and Los Angeles Magazine’s “The Essential Guide to Los Angeles’ Best Doctors”. The American Academy of Ophthalmology recognized his achievements by giving him the Honor Award in 1996. He has been a member of the Rotary Club of Long Beach since 1982 and served as President in 1993-1994. 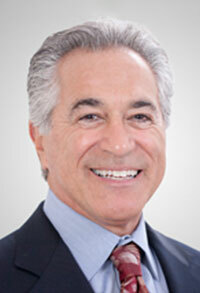 Dr. Serafano is Board Certified by the American Academy of Ophthalmology. He has completed a Fellowship in Lasik surgery and is certified in Abbott’s VISX Excimer Laser System. He is also certified in the femtosecond LenSx laser system for laser assisted cataract surgery.